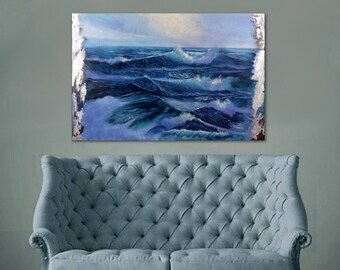 Large semi-abstract ocean painting "Creation", oil on canvas 30x40", framed. 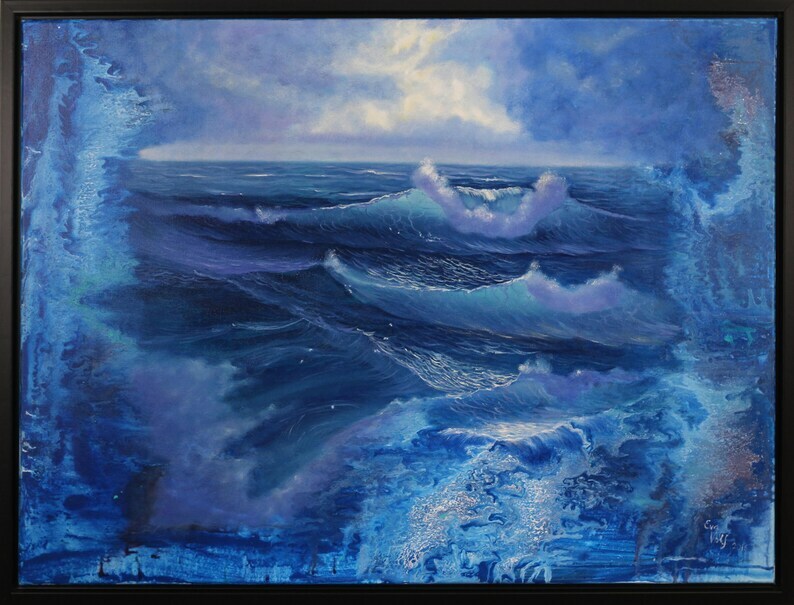 "Eva`s work immerses one in the primal waters of the sea where life began. 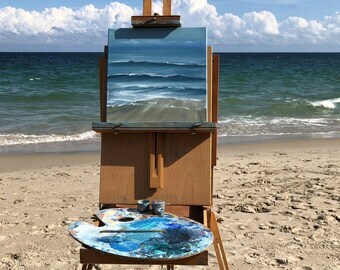 You cannot help but to be drawn into the visions she creates with her marvelous seascapes; gentle, yet at the same time powerful." (Lenny Putz, an award-winning photographer).
. •	Ready to hang, framed. 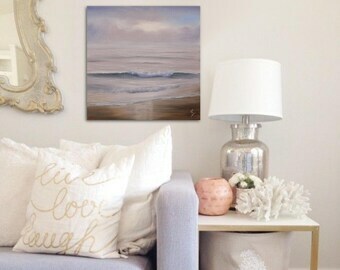 The sides of this 40x30" canvas are painted to match the artwork, which is also framed (framed dimensions 42x32", wired, signed and dated by me. Thank you for adding more beauty and joy into my home. My husband loves his gift and I couldn’t be more happy.